WikiLeaks founder Julian Assange repeatedly violated his asylum conditions and tried to use the Ecuadorian embassy in London as a center for spying, Ecuador's President Lenin Moreno told Britain's Guardian newspaper. Moreno denied to the Guardian that he had acted as a reprisal for the way in which documents about his family had been leaked. He said he regretted that Assange had used the embassy to interfere in other country's democracies. "It is unfortunate that, from our territory and with the permission of authorities of the previous government, facilities have been provided within the Ecuadoran embassy in London to interfere in processes of other states," said Moreno, who was elected in 2017. "We cannot allow our house, the house that opened its doors, to become a center for spying," Moreno said. "The key issue at the moment is U.S. extradition, which we have warned about for many years," she added. 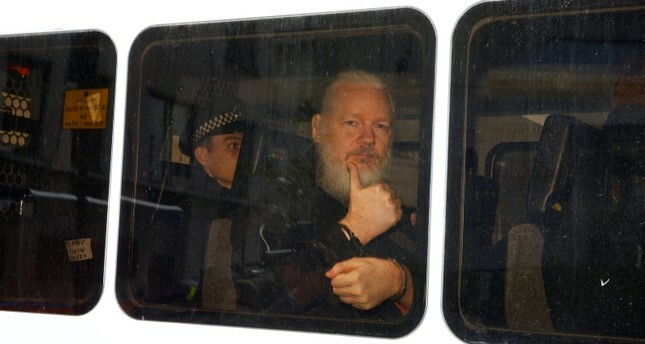 The U.S. indictment charges Assange with "conspiracy," alleging that he worked with former U.S. Army intelligence analyst Chelsea Manning to crack a password stored on Department of Defence computers in March 2010. The lawyer condemned as "outrageous" claims made by Ecuador about Assange's behavior in the embassy, including that he smeared his feces on the wall, saying: "That's not true."